Twitter is an important part of our Core Workout each day. Just to let you know, I set up a list of all Go Agent accounts this evening that allows me to easily follow your posts, and I will check daily :) Remember that your core workout includes one tweet each day and responding to five tweets by others. That's part of how you get that iPad or a flight to Vegas. A few of us need to dust off the Twitter account; its been a while. I am missing a few accounts but those agents are getting back to me quickly so I can follow along. 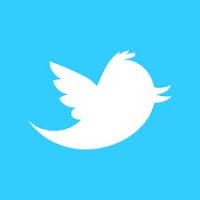 You can check our connection by seeing if I am in your followers list. Two recommendations: monitor how others post, particularly those you consider effective. Don't worry about being exclusive to real estate interests. Follow topics and people that interest you. For example, I follow religious leaders, Shaquille O'Neal, Dave Ramsey and my yoga instructor. Not sure where it is all going, but it is a very interesting party. Happy Tweeting!